In a medium-size bowl combine coriander, cumin, cayenne, salt, and cinnamon. Mix thoroughly. Coat chicken thighs with seasoning mix. Take care to coat lightly, but evenly. Heat olive oil in medium skillet over medium heat, then add chicken. Cook chicken thighs over medium heat until fully cooked (170°F), flipping once. Plate chicken and cover to keep warm. Add chopped peppers and lemon slices to skillet and cook until peppers are the desired tenderness (5-8 minutes). 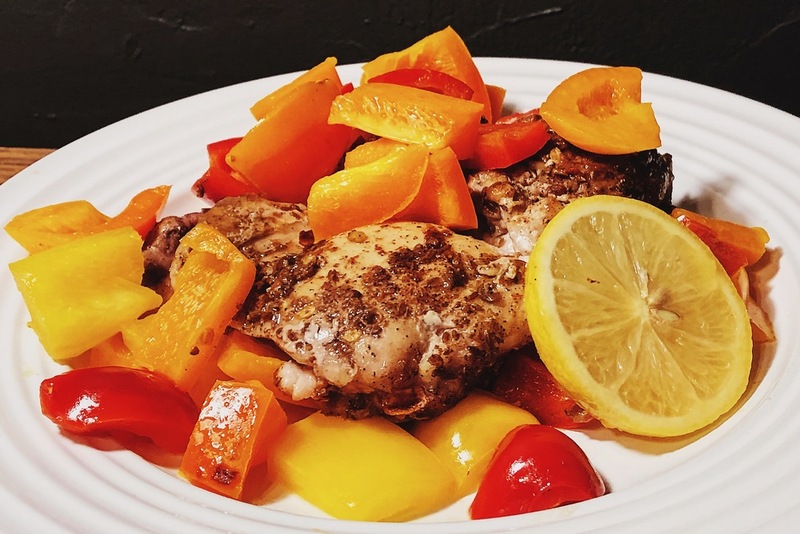 Serve chicken with peppers and lemon slice.